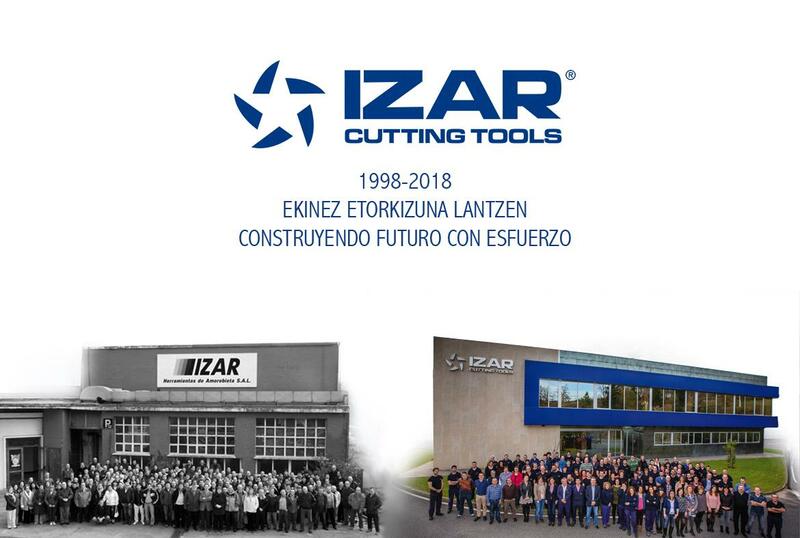 Throughout its one-hundred-year-old history, IZAR CUTTING TOOLS S.A.L. has had different business formats, and this Saturday – 20th January – it will celebrate its 20 years of success as a Labour Limited Company. To commemorate this anniversary, the Amorebieta firm has organised a celebration, whose main event is a lunch with all the people that make up the organisation. The lunch will be served at the town’s Boroa restaurant, which has a deserved Michelin star. The video goes over some of the milestones that have marked the success of IZAR as a labour corporation, starting with some uncertain origins, where its workers committed, not without risk, to the new business project, continuing with the placement of the first stone of its modern factory in Boroa in 2006, with its cutting-edge technology facilities, and finishing with its current successful situation. IZAR is experiencing a situation that nobody could ever have foreseen at the start: spectacular two-figure annual growth over the last few years, with 2017 becoming the best year of its history, with a turnover of 29 million Euros; indisputable leadership in the national market; presence in more than 90 countries all over the world, and what is more important, new growth projects that enable it to consolidate future employment and social cohesion in its area.